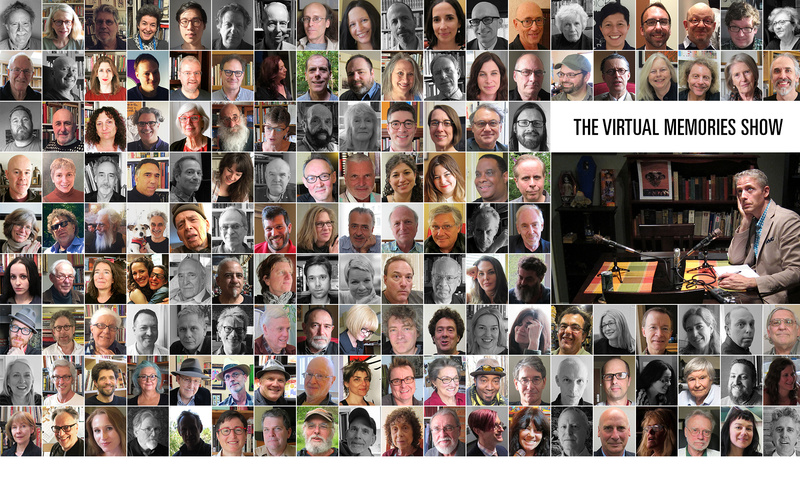 Cartoonist and MacArthur Foundation “Genius” Fellowship winner Ben Katchor joins us for the first live episode of The Virtual Memories Show (in conjunction with the New York Comics & Picture-stories Symposium). Ben & host Gil Roth talk in front of — and take questions from — an audience of 50 or so about Ben’s career in cartooning, including his new book, Hand-Drying in America and Other Stories (Pantheon), which collects his monthly comic page from Metropolis magazine. During the episode, Ben even performs several of his comics. 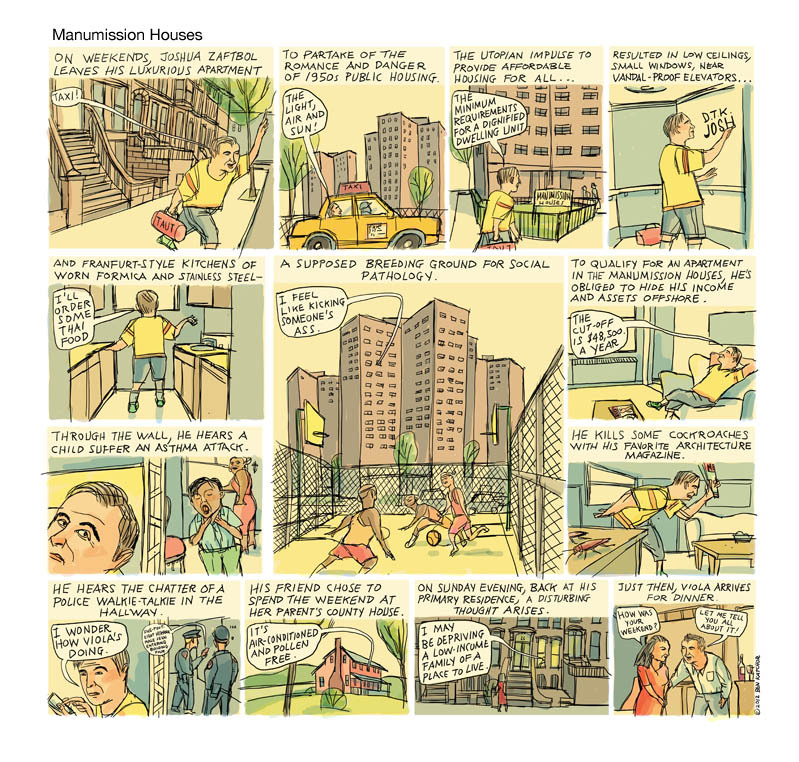 If you’d like to see the comics themselves, you can download Manumission Houses and Lossless Things. The conversation and Q&A also cover his work process (with a surprising revelation about how he draws! ), how book publishing lost its identity, what he learned from working in other art forms (like musical theater), how he teaches cartooning, the allure of new technologies, his one critical audience demographic, the joy of imperfections, whether he has an ideal era for New York, what happened to his History of the Dairy Restaurant book, how fear of shame keeps him productive, how Google can help when you need to draw a Russian prostitute, what he picked up from the Yiddish humor strips he read as a child, which one book the Library of America should withdraw, and how to pronounce “Knipl”! He didn’t win a “Genius” grant for nothing! Enjoy the conversation! Then check out our archives for more great conversations! 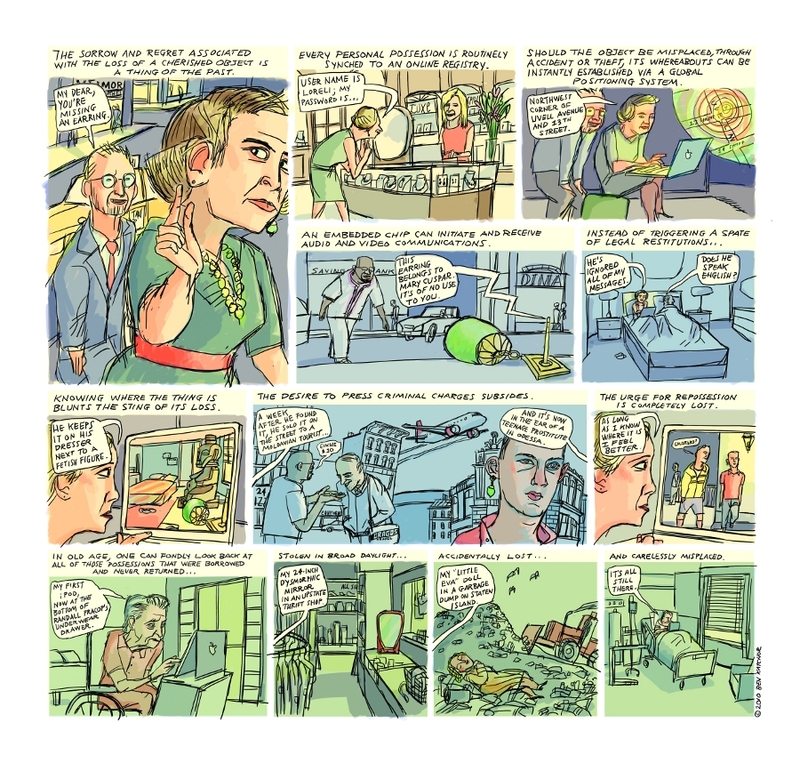 Ben Katchor’s picture-stories appear in Metropolis magazine. His most recent collection of monthly strips, Hand-Drying in America and Other Stories , was published in March 2013 by Pantheon Books. Up From the Stacks, his most recent music-theater collaboration with Mark Mulcahy, was commissioned in 2011 by the Cullman Center for Scholars and Writers at the New York Public Library and Lincoln Center and was performed at both venues. He is an Associate Professor at Parsons, The New School for Design in New York City. For more information, visit www.katchor.com. Credits: This episode’s music is Big City Blues by Sun Ra and his Arkestra. The conversation was recorded in the Bark Room at The New School in NYC on a pair of AT2020 mics , feeding into a Zoom H4n recorder . Mr. Katchor’s readings and some of the questions from the audience were recorded on a second Zoom H4n . I recorded the intro and outro on a Blue Yeti USB mic into Audacity. All editing and processing was done in Garage Band. Photo by Amy Roth.